Existing Visa Gold and Classic Credit Card Customers- register or login to check your VISA card account online. 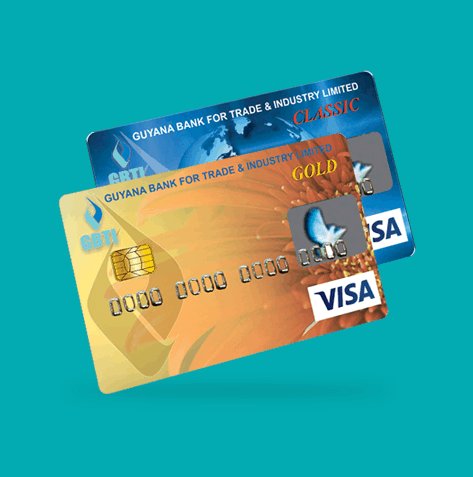 GBTI issues the VISA Gold and VISA Classic Credit Cards that can be used everywhere VISA cards are accepted. There is no need to have an account with GBTI in order to apply for a VISA Credit Card. Any person over the age of 18 with a valid photo identification can apply for a card. Simply collect an application form from any of our branches or get the form here, print before your visit. Return with the completed form for an interview with a credit officer. 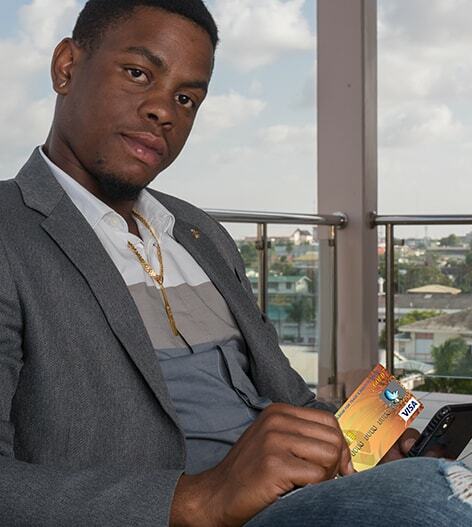 To obtain any other customer service, kindly contact your branch or our Card Centre at 231 4391/3 or 225 3561 during business hours or the Card Center at 1-866-303-3118 after business hours. Report to us immediately if you believe the Card or its PIN has been lost or stolen. It is the best way to minimize any possible losses. Minimum monthly payment 1/16 of card balance. 1/16 of card balance.